Jan really liked the last mushroom soup I made. She asked for a soup just for the two of us, Eilene—who hates mushrooms—was off on an overnight. Reworking that recipe actually improved it quite a bit. I have been craving oxtails recently. 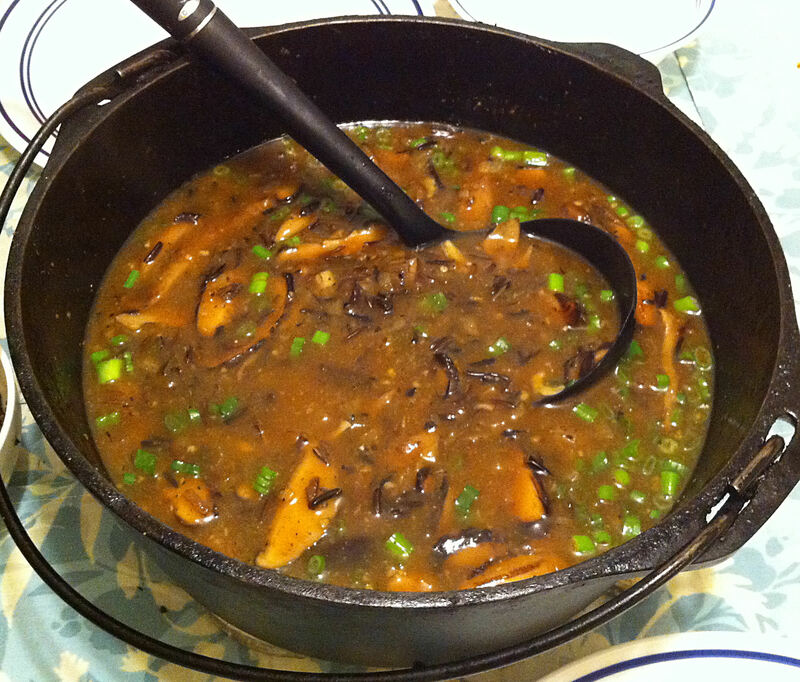 You may wonder what does “oxtail” have to do with “mushroom” soup. It all comes down to my wife’s, Jan’s, gallbladder—or rather the lack of the same. I am incapable of following a recipe, even my own. I know that the chefs at ATK have spent days perfecting their recipe, but I have to make changes. I cannot help myself—I watch cooking shows more for tips and techniques, rather than instructions.